Truth is the two “Keeper…” albums released by HELLOWEEN in the late 90s raised high the bar of the quality a Euro Power Metal LP should now have to exceed recognition – and sales – but also made many fans skeptic in regards to why rawness should be replaced by overloaded melodies, provided we were talking ‘bout a the Metal genre. The American Power Metal bands had long now offered technicality in defense of releasing sophisticated music (even including major Thrash Metal outfits) and it was a matter of time for Europe to have its answer to this manifest. Heavy Metal always had (and still does) various faces; one of them was the evil one. From the archetypal sound of BLACK SABBATH to extreme non-conformity of VENOM, the Metal vice had its way to approach the ones looking for something close to ‘the other side’. Long way before the formation of Black or Death Metal bands it was classic Heavy Metal that paved the way for His Majesty and that ilk, and Denmark’s MERCYFUL FATE was a pioneering band in that construction. Some people say that the most original Metal band in the world is the godfathers, BLACK SABBATH. Hence, Doom Metal is the closest to being in the original form of Metal sub-genre. I have several doubts about this argument but this is not the right space for this. 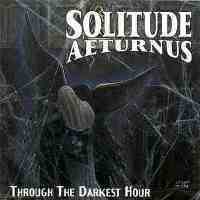 By all means, though, there are Doom Metal bands that perform excellent pieces of Heavy Metal music and one of them has been USA’s SOLITUDE AETURNUS. 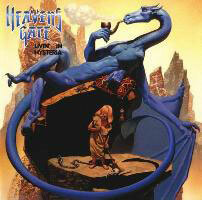 Fans of the genre have this band high on scale and worship all of their six releases from 1991 to 2006. 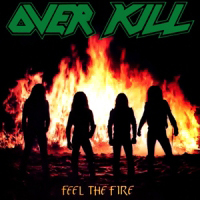 I like Thrash Metal and to be exact, I love and adore Thrash Metal. It’s all about the relentless aggression or furious rage of an extreme form of Metal music that sends shivers down my spine. Of course the 80s - and some of the early 90s, let’s be serious - were the home of good Thrash Metal plus there seems to be some kind of revival the last half dozen of years in the scene. Nothing can be compared to the 80s though: the wave of Thrash Metal bands emerging out of nowhere to follow the trend succeeded in offering the finest of recordings in the genre. One of them was undoubtedly OVERKILL.